A larval Crassostrea virginica oyster as viewed with an electron microscope. Coastal Greenland in summer 2015 during the Greenland Climate Project, a collaboration between the OA Lab and Ocean Research Project. Carbon Dioxide (CO2) is a colorless, odorless gas that is an important greenhouse gas residing in our atmosphere. However, atmospheric levels of CO2 around the world are increasing dramatically largely due to the burning of fossil fuels and other human-mediated processes. A substantial fraction of the CO2 released into the atmosphere is absorbed into our oceans, estuaries, rivers, and other lakes and waterways. As CO2 is absorbed it acts as an acid, lowering the pH of the water in a process called ocean acidification. 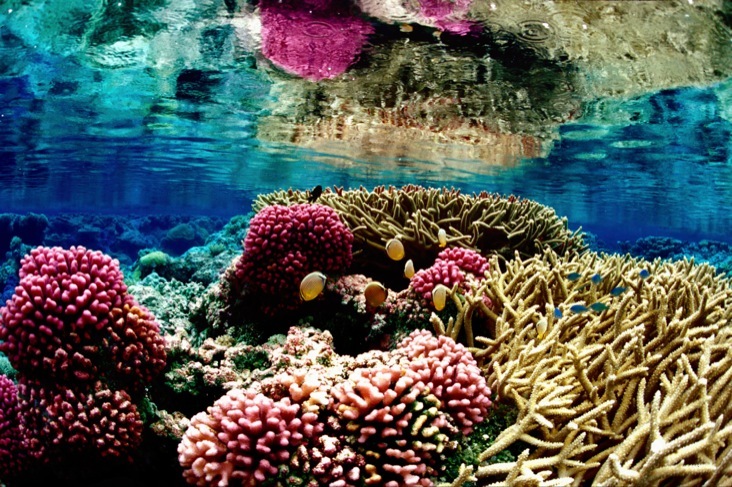 The effects of ocean acidification on our ecosystem are vast and threaten a variety of organisms, most notably calcifying creatures such as corals, oysters, snails and other organisms as under increasing acidification pressure it becomes harder for those organisms to build and maintain their structures. At the OA lab at SERC, we study the same carbonate chemistry, but as it applies to the coastal and estuarine environment and biota. 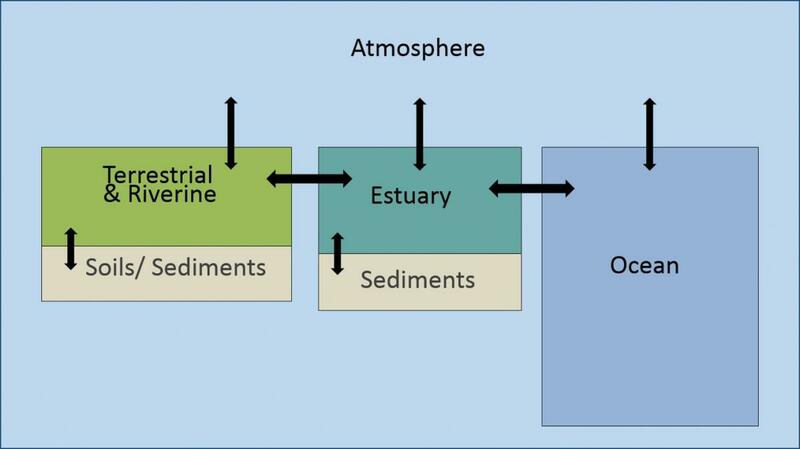 What is Coastal Ocean Acidification? Model of CO2 exchange among environmental compartments/ecosystems. In coastal/estuarine ecosystems, there are many areas of carbon input and exchange besides the atmosphere. Although the process and phenomenon of ocean acidification in oceanic settings is well documented and largely predictable on the global scale, our understanding of acidification in coastal ocean and estuarine settings lags significantly. Coastal ocean and estuarine habitats are extensive, highly diverse, and vital to ecosystem health, but are under ever increasing pressure from human impact and global change (e.g., pollution, habitat degradation, sea level rise, and acidification). With a global population that is expected to exceed 10 billion people by the mid 21st century, humans will depend increasingly on well functioning coastal ecosystems and the ecosystem services they provide. Coastal ecosystems experience enormous and increasing inputs of carbon from atmospheric, terrestrial, riverine, and oceanic sources. Biological processes and land-sea interactions are proving important drivers of carbonate chemistry dynamics. Through a combination of environmental monitoring/ measurements, lab and field experiments, and instrument development, our lab is focused on understanding the effects and interactions of the chemical, physical, and biological drivers of coastal acidification.